This week it’s a classic style podcast with a look at a “Deep Space Nine” episode. I start with a little bit of pre-talk about my upcoming trip out to San Diego Comic Con this coming week. It’s my first time out to the big MEGA con and I’m trying to prepare myself – to some degree. I feel like no amount of planning will really prepare me. I’m excited to be going but also slightly intimidated as well. But I’ve gone to a lot of cons so I think I’ll be ok. I’m hoping to meet up with some podcast friends too and others as well. I also talk a little bit about my recent TV and movie viewing and then it’s on to the Trek commentary. 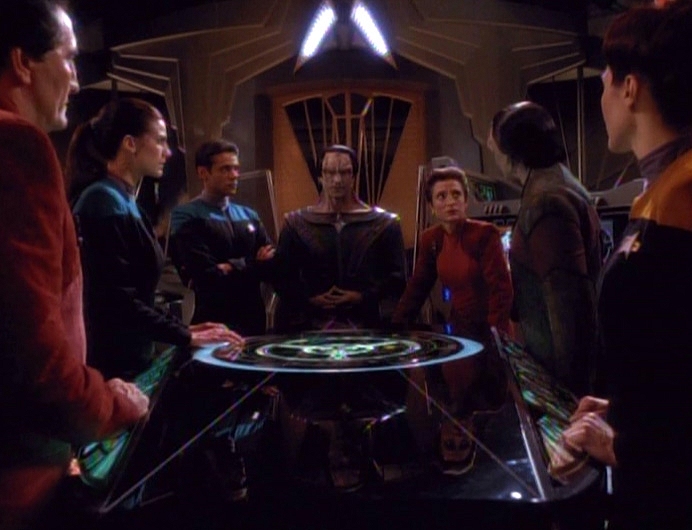 This week I comment on the DS9 episode, “Civil Defense” from season three. This is a cool episode that has the station trying to basically kill everyone due to some old computer programs left by the Cardassians. There is a good use of all of the cast as well as guest stars too. Fun and cool episode and I comment while playing it all for you guys. That’s about all for this week. Next week will be a guest cast and I will be back in two weeks with a big vidcast all about SDCC! So, take care, stay cool and enjoy the weeks ahead. You can support the podcast HERE on Patreon.